Two articles in Nature was nicely summarized in an Economist article recently. 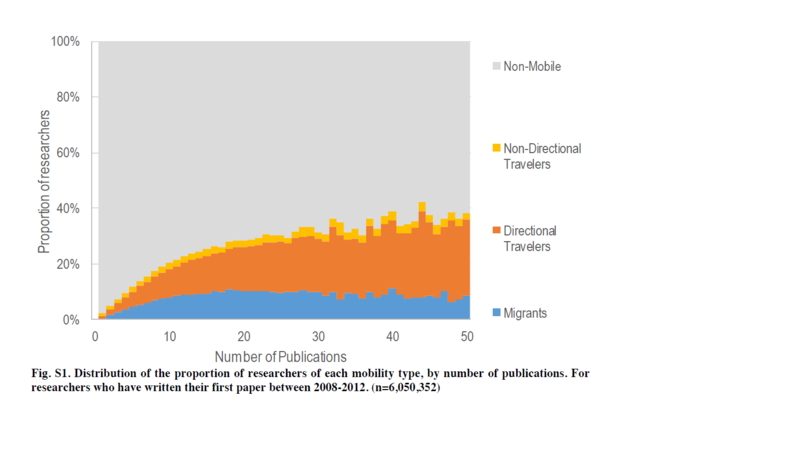 The more open countries are and internationally mobile and connected researchers in a country are, the more artices with high citation are produced. It is worth noting that of the 16 million researchers included in one study, only 4% (!!!) are termed as mobile; which may open for a selection issue. However, the results show that they are more productive both during their stay abroad, and once they return home. It is also worth noting that countires like Germany and Switzerland score well in these studies; are also among those with the highest numbers of people currently enrolled in a Ph.D. program (pr. Capita). SCIENCE is an international affair. Researchers from different countries frequently collaborate with each other, a process made ever easier by the rise of electronic communications. Sometimes, they actually change country to do so. Marie Curie moved from Poland to France. Guglielmo Marconi moved from Italy to Britain. Spencer Platt/Getty International projects account for at least 20% of national government spending on scientific research. Some countries spend as much as 50% of these funds on international collaborations. The number of internationally co-authored papers is growing rapidly. For countries at the forefront of research, the fraction of papers that are entirely ‘home grown’ is falling. Spencer Platt/Getty Images Recent political upheavals portend an era of increased isolationism in science, with a chilling effect on collaboration and mobility. Last month, US President Donald Trump issued his third travel ban in a year, suspending entry of individuals from several countries into the United States, and placing restrictions on many more for visa renewals.